Mishima City, located in eastern Shizuoka Prefecture, is just 37 minutes from Shinagawa Station on Tokaido Shinkansen Hikari trains. 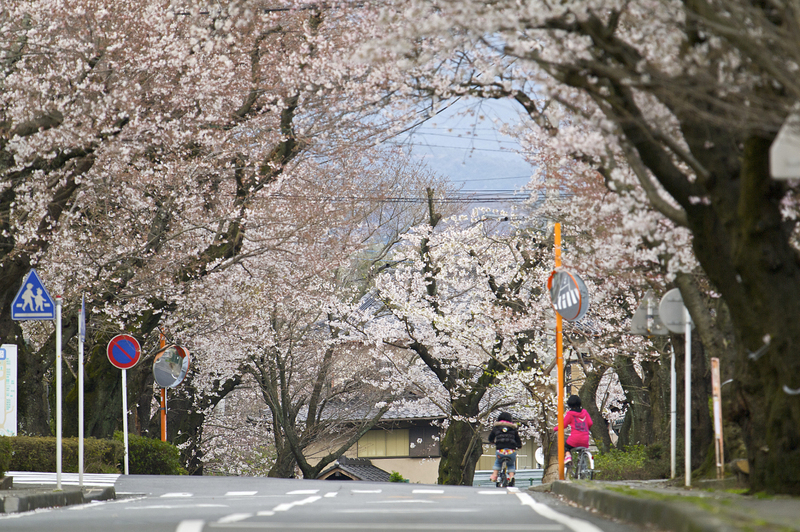 Long ago it flourished as a post town on the Tokaido road between Edo and Kyoto, and as the town surrounding Mishima Taisha Shrine, and it remains an important traffic nexus today. 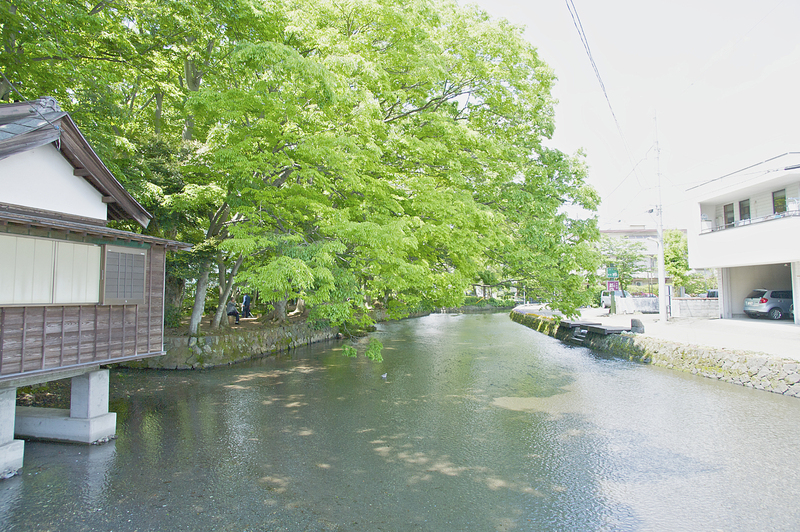 “Mishima, the Town of Water” is blessed with spring water from Mt. 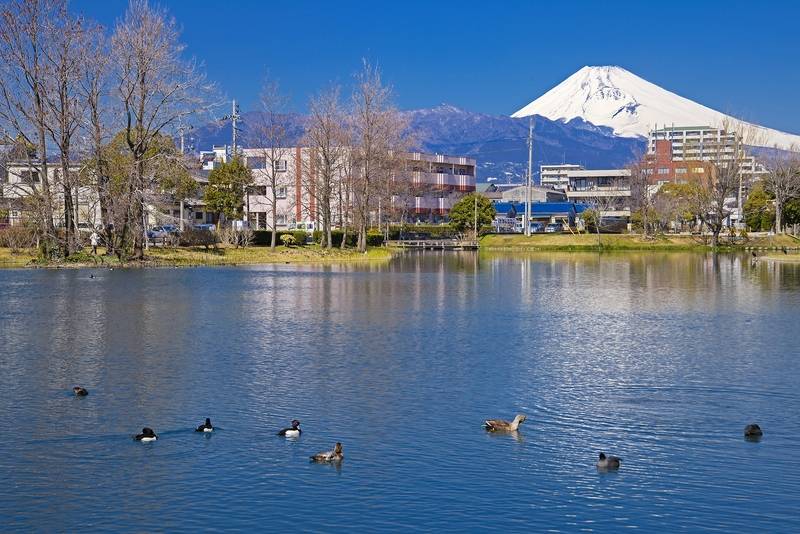 Fuji, and has waterfronts all around the city, so you can enjoy walks along the streams. 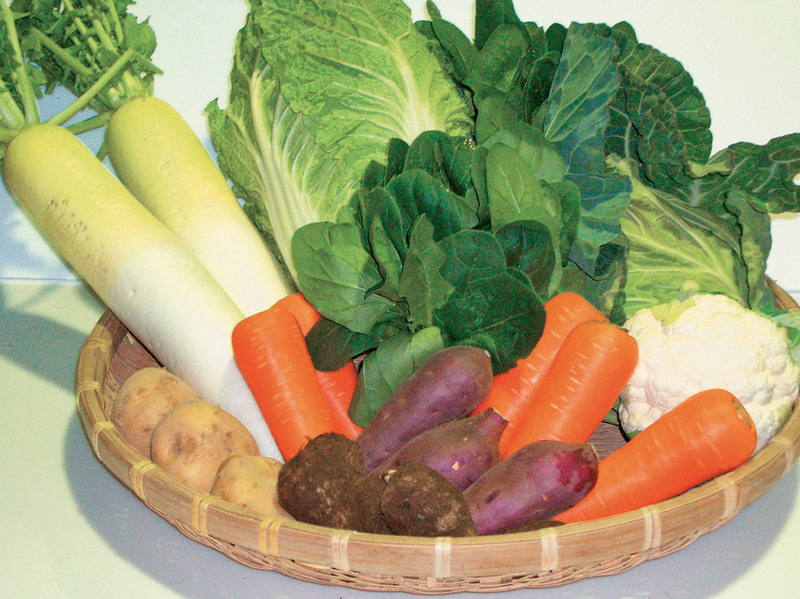 Specialty foods include quality eel raised in its famous spring water, and Mishima croquette made using May Queen potatoes, which are nature’s blessing to the Hakone Seiroku area. 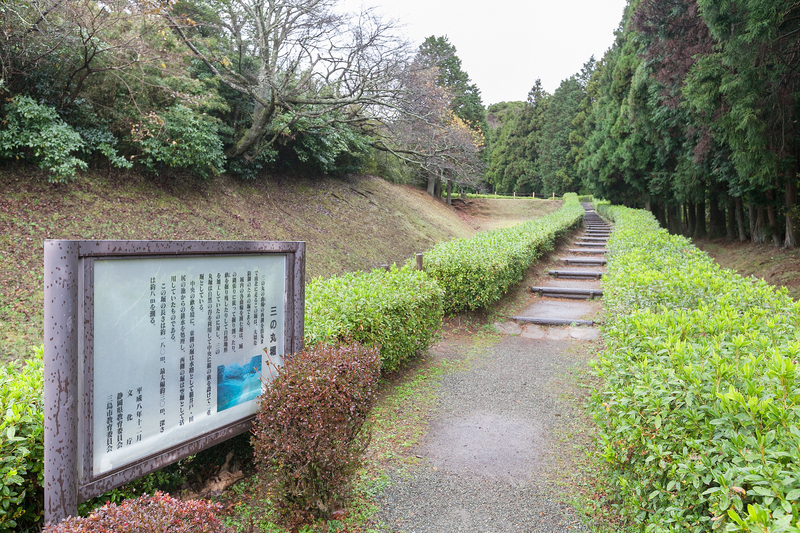 “The Yamanaka Fort Ruins” is a historic sight distinguished by its earthwork and moats. 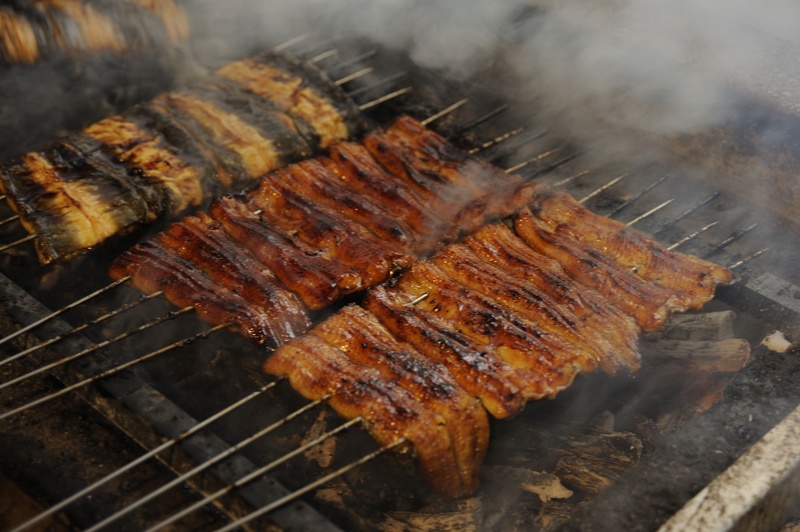 “Eel” is the very popular product of Mishima. The taste of eel is said “to be decided by the quality of the water”.Quality eel raised in the underground waters of Mt. Fuji, is exposed to famous spring water for 2 to 3 days. This little extra effort removes the unique odor of eel and unnecessary fat, making for firm, delicious eel meat. There are many famous eel restaurants in Mishima, some of which have been open since the Edo Era. “Mishima croquettes” are made using 100% Mishima white potatoes (May Queen potatoes) harvested in Hakone Seiroku. The outside is crispy, while the inside is has a smooth, pleasing flavor that allows you to fully taste the sweetness of white potatoes. You can enjoy various types of “Mishima croquette” at over 80 stores in the city, easily purchasing them at butcher’s shops, eating croquette bread at bakeries or a side dish at taverns, and trying it in various arrangements at restaurants. 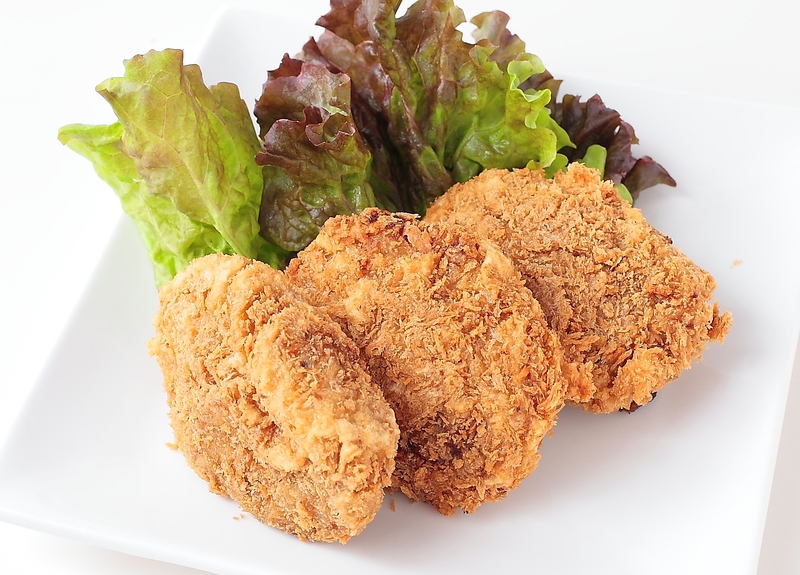 The Mishima croquettes are sold from July to December when Mishima white potatoes are sold, and in fall the sister product “Mishima sweet potato croquette” arrives. This shrine has a long history, as Minamoto no Yoritomo (first shogun of the Kamakura Shogunate) once prayed for the restoration of the Genji clan here, and the shrine buildings are made with heavy zelkova wood. 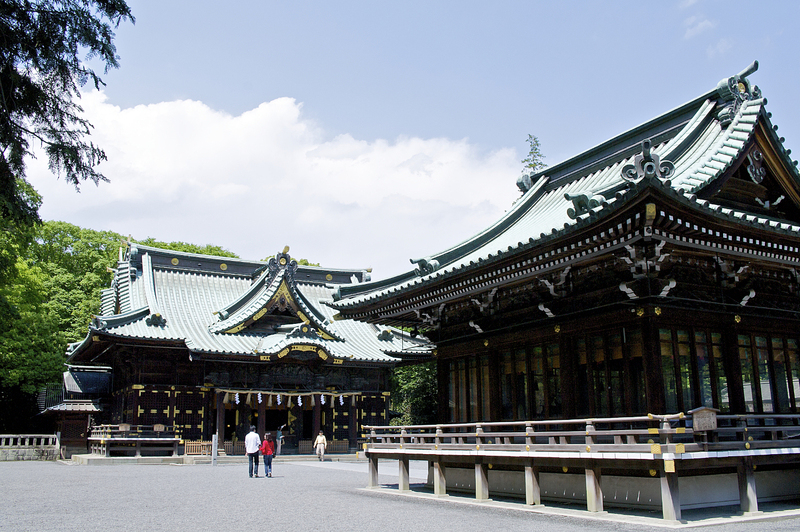 The main shrine, the hall of offerings, and the hall of worship have been designated as important cultural properties of Japan. The treasure hall stores the “Umemaki-e Tebako”, an apricot-relief gold-lacquered box that is a national treasure said to have been offered to the shrine by Hojo Masako (wife of Minamoto no Yoritomo). In addition, visitors can see important cultural properties including ancient scrolls and swords. A sweet olive tree on the grounds of the shrine has been estimated to be over 1,200 years old, and is designated as a natural monument of Japan. The shrine is also known as a good cherry blossom viewing spot in the spring. 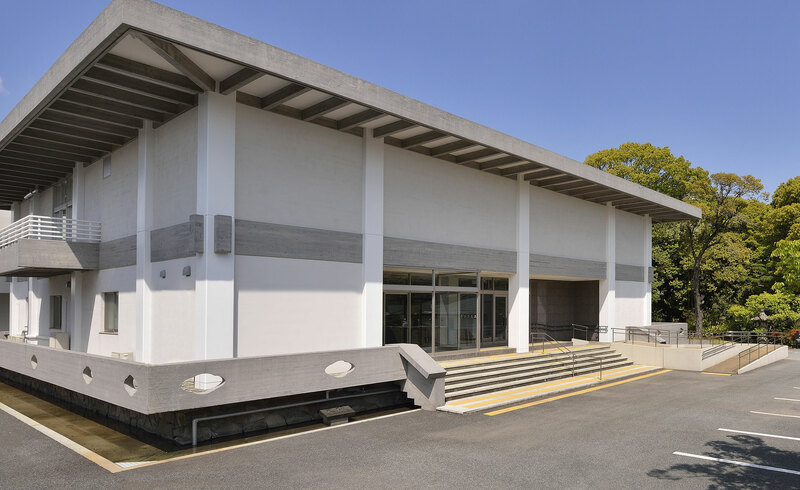 This art museum houses nearly 2,500 works of art, focused on Oriental antiques and artifacts such as Japanese swords, sword decorations, ceramics, and Noh masks. There are a great number of famous Japanese swords in particular, including a (national treasure) naginata made by the famous craftsman Nagamitsu, who was a representative of the Kamakura Period. In addition, various exhibits are held for each theme, including a seated statue of Dainichi Nyorai (Mahavairocana) and a standing statue of Zao Gongen from the Heian Period, as well as a Daihannyaharamitta-kyo (Mahaprajnaparamita Sutra) from the Nara Period. 160 different species of trees have grown into a forest on top of a lava flow from Mt. 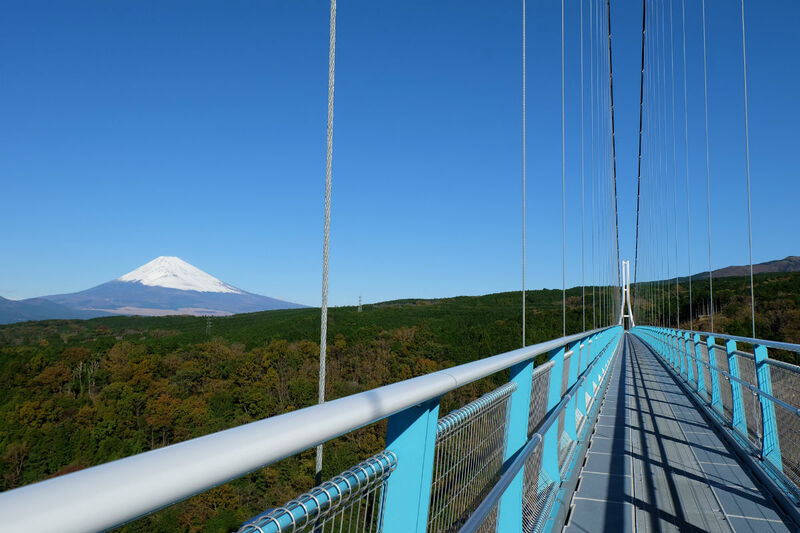 Fuji in this nature park, which has been designated as a natural monument and famous site of Japan. Kobama Pond inside the park is most beautiful during the spring water period from early summer to autumn, and visitors can also meet small alpacas, capybaras, lesser pandas and other small animals at the animal plaza. Yamanaka Fort was built by the late Hojo Clan to protect Odawara Castle, but later fell to the Toyotomi Clan, and was a very rare mountain castle built using earth instead of stones. It is particularly famous for its shoji-bori and une-bori moats which represent the Hojo style of castle building, and it has been selected as one of “Japan’s 100 greatest castles”. 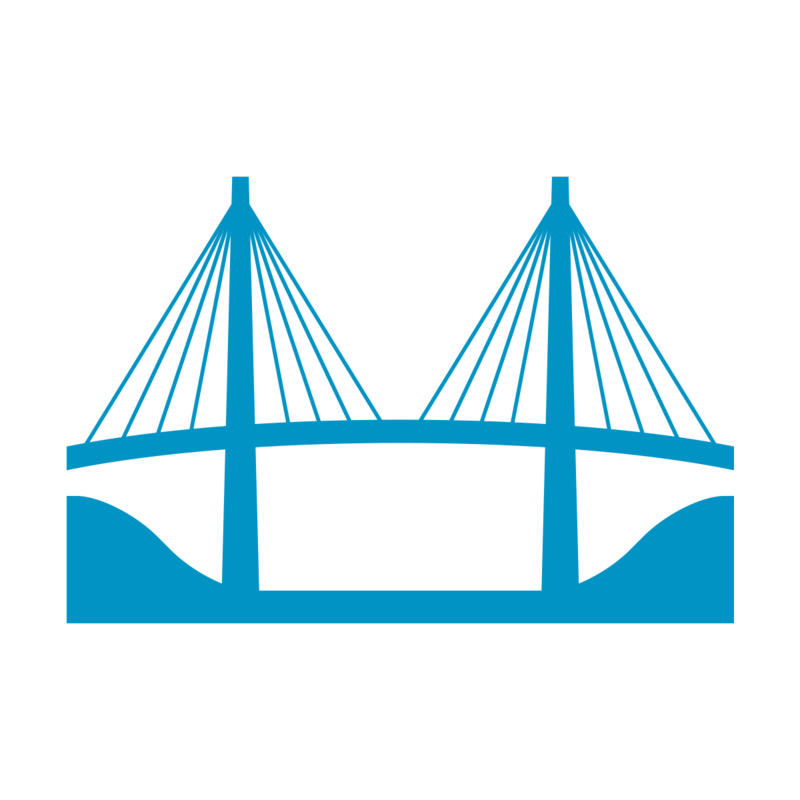 It is possible to catch a glimpse of Mt. Fuji when the weather is good, and the castle grounds are made colorful by seasonal flowers and trees, including cherry blossoms, azalea, and water lilies in the spring, as well as hydrangea in early summer. This river is 1.5 kilometers in length, starting from an underground water source of Mt. Fuji that flows from Rakujuen, and it is a symbol of Mishima, the Town of Water. There are wooden footpaths and stepping stones arranged in the middle of this pure stream, so visitors can enjoy the sound of the stream as they walk over the water. “Mishima calendars (Mishima-goyomi)”, which are said to be the oldest lunar calendars in Japan printed using Japanese kana characters instead of Chinese kanji characters, have beautiful, finely printed characters and were popular as travel souvenirs and year-end gifts. 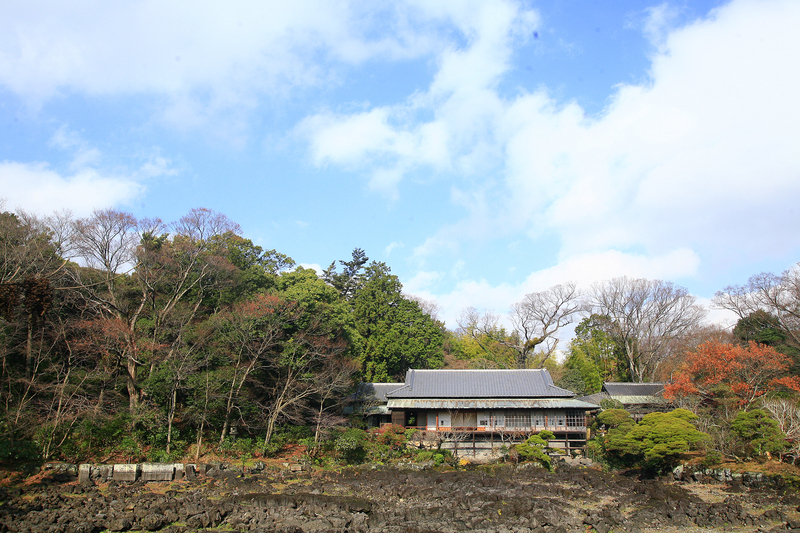 At “Mishimagoyomi-shi no Yakata”, the renovated home of the Kawai family who published these Mishima calendars for generations, there are Mishima calendar printing blocks and related materials on display, and visitors can even try printing Mishima calendars themselves. The “Mishima Patterns Project” was launched to convey the culture of “Mishima Bowls” which have patterns resembling Mishima calendars, while rearranging them in modern styles. 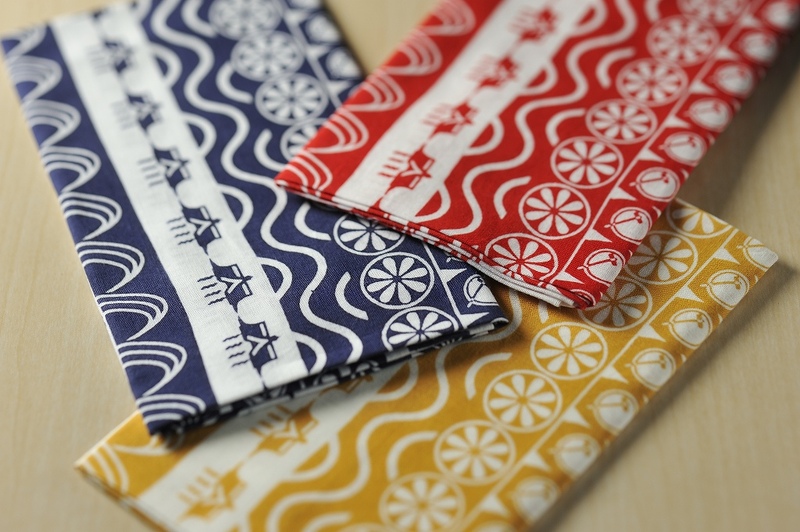 All sorts of new products have appeared that incorporate Mishima patterns, including hand towels, pochettes, and hand mirrors. Snowmelt water from Mt. Fuji springs from the ground all over the city of Mishima. 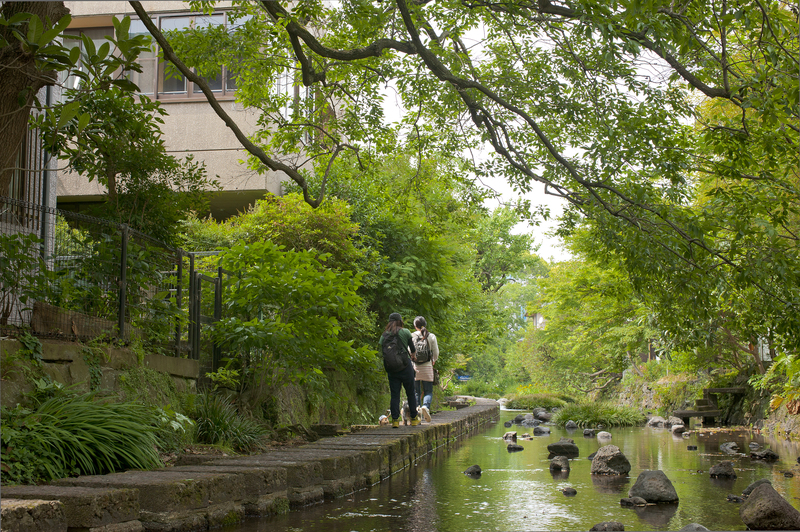 Stepping out of the South Exit of JR Mishima Station, you can enjoy a walk along the streams that gives the full experience of “Mishima, the Town of Water” from Rakujuen to the Genbei River, to Mishima Baikamo no Sato, to Mishima Taisha Shrine, and Shirataki Park. The north side of JR Mishima Station is an academic district with many universities and high schools. 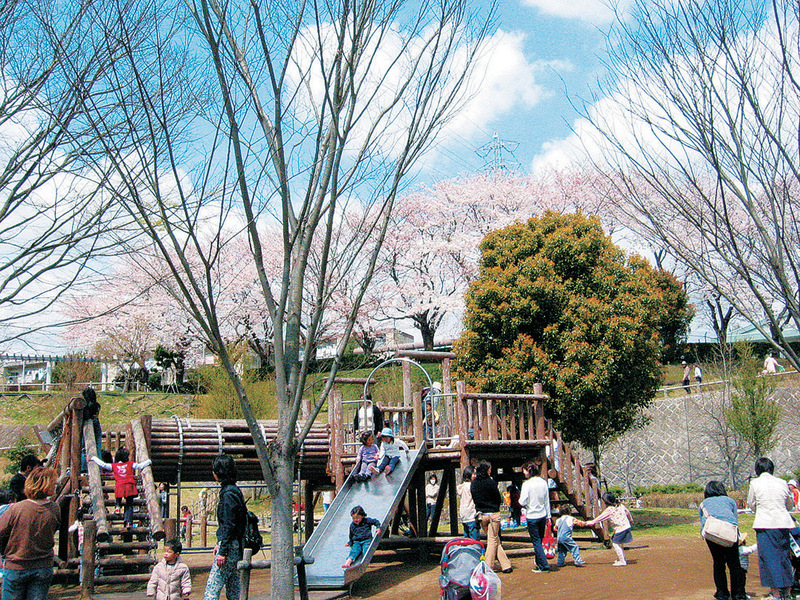 Kamiiwasaki Park, located in a quiet residential neighborhood, has a broad grassy area, athletic grounds, and a pond where you can play in the water, as well as beautiful cherry trees. Mishima has such beautiful waterfront scenery that it is said that “the whole city has streams running through it”. The presence of fireflies in early summer is also proof of the pure water. There is especially a great amount of spring water in the summer, and children enjoy playing in the water all around town. The air clears in the winter, making for perfect conditions to see Mt. Fuji. Come and feel the four seasons blessed with nature, as only possible at the foot of Mt. Fuji. 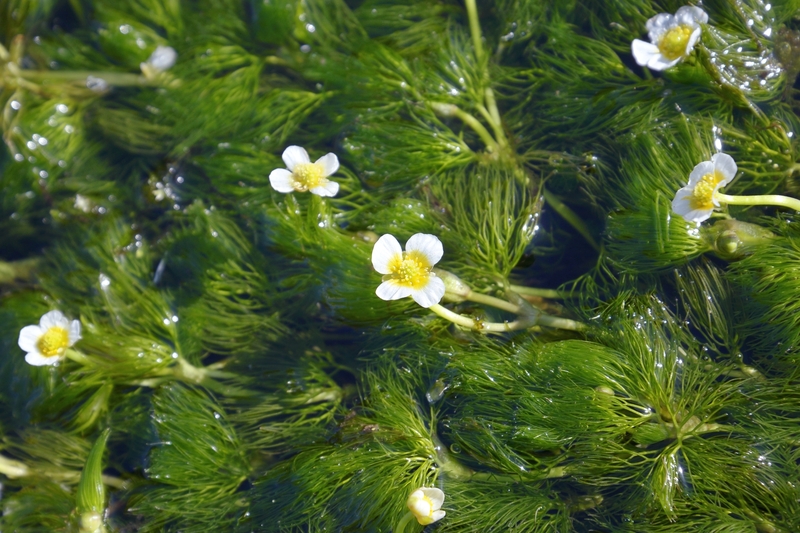 “Mishima Baikamo”, a water plant unique to Mishima that was first discovered in the Kobama Pond of Rakujuen, blooms with small flowers that resemble those of the plum. It can only survive in environments that have good sunlight, with cold clear water that flows constantly, and activities to preserve the plant are underway at “Mishima Baikamo no Sato”. It is best seen between May and September, and you are sure to be soothed by its lovely figure swaying in the pure water. At Mishima’s largest event, the “Mishima Summer Festival”, participants dance to Nohei-bushi, a traditional folk song. 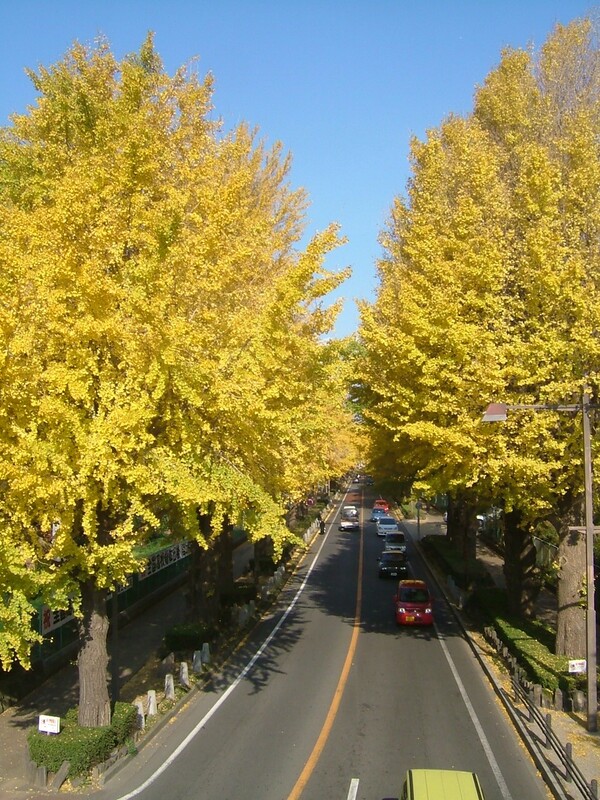 The gingko trees lining the streets of Bunkyo-cho in Mishima were planted there to commemorate the completion of a road in the Taisho Era, and there are 117 gingko trees planted in 9 meter intervals along the Prefectural Route Mishima Susono Road from Mishima Station North Exit towards Nihon University. Gingko is the city tree of Mishima, and the local mascot character “Mishimaru-kun” is a gingko fairy. The view of the gingko trees, which all turn yellow at once in the middle of November, won the grand prize (Shizuoka Prefecture Governor’s Prize) at the “4th Annual Shizuoka Prefecture Scenery Competition” in 2011.